Witnesses reported seeing explosions and rocket fire late Saturday. A short-lived ceasefire in eastern Ukraine apparently collapsed late Saturday when fighting broke out in Mariupol, a port city in the country's southeastern region. BBC journalist Fergal Keane — who just hours before the shooting began had reported that the ceasefire was holding — tweeted from the scene. #Ukraine On roof of hotel and can see flashes from explosions and hear powerful detonations. Other witnesses told the Associated Press the fighting included explosions and rocket fire on the eastern edge of the city. Ukrainian troops have established defensive lines against the pro-Russian rebels in that same area. BBC News producer Will Vernon tweeted a picture that appeared to show an explosion. Other journalists who tweeted about the violence included Roland Oliphant of The Telegraph, Shaun Walker of The Guardian, and Polish television reporter Wojciech Bojanowski. #ceasefire is over. 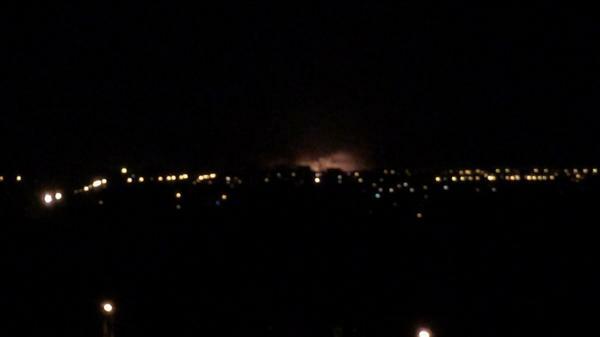 Now we hear shelling again in eastern Mariupol. 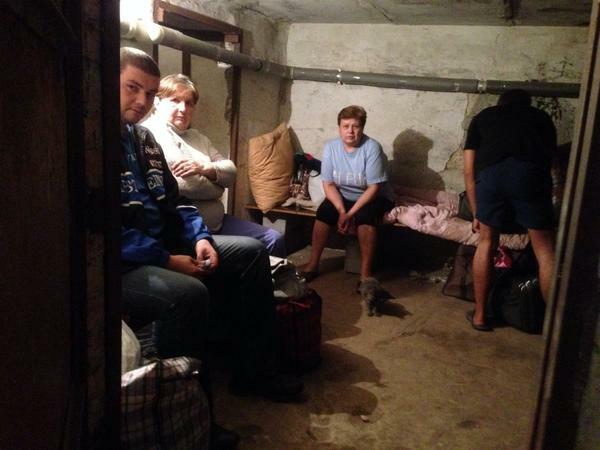 People hiding in cellars. Its tough. 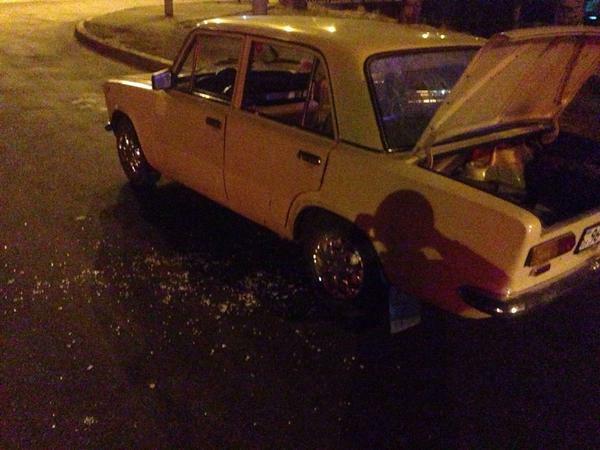 In #Mariupol a car shot near the factory. Somebody knows what happend? The ceasefire began Friday and initially appeared to be holding. The ceasefire between the Ukrainian government, pro-Russian rebels, and Russia was signed Friday in Belarus. Immediately after it took effect, shelling appeared to stop in eastern Ukraine, the AP reported. It was not immediately clear who initially broke the ceasefire Saturday night. #Ukraine To all asking:who started it? Impossible to say right now.Will try to get clearer picture in the morning when its safe to check. However, a twitter account claiming to represent self-proclaimed Donetsk People's Republic tweeted that "Armed Forces Novorossiya take Mariupol." &#x412;&#x43E;&#x43E;&#x440;&#x443;&#x436;&#x435;&#x43D;&#x43D;&#x44B;&#x435; &#x421;&#x438;&#x43B;&#x44B; &#x41D;&#x43E;&#x432;&#x43E;&#x440;&#x43E;&#x441;&#x441;&#x438;&#x438; &#x431;&#x435;&#x440;&#x443;&#x442; &#x41C;&#x430;&#x440;&#x438;&#x443;&#x43F;&#x43E;&#x43B;&#x44C;. Ð’Ð¾Ð¾Ñ€ÑƒÐ¶ÐµÐ½Ð½Ñ‹Ðµ Ð¡Ð¸Ð»Ñ‹ ÐÐ¾Ð²Ð¾Ñ€Ð¾ÑÑÐ¸Ð¸ Ð±ÐµÑ€ÑƒÑ‚ ÐœÐ°Ñ€Ð¸ÑƒÐ¿Ð¾Ð»ÑŒ. Later, the same account tweeted about continued fighting: "Prime DNR Zakharchenko: The ceasefire is not fully complied with, fighting continues"
The fighting apparently stopped early Sunday morning. No shelling for a while. Lots of flames on the novoazovsk road out if town. #Ukraine quiet now but reliable reports Ukr c/p we filmed at earlier hit by shellfire.Could see flames in distance and flashes.